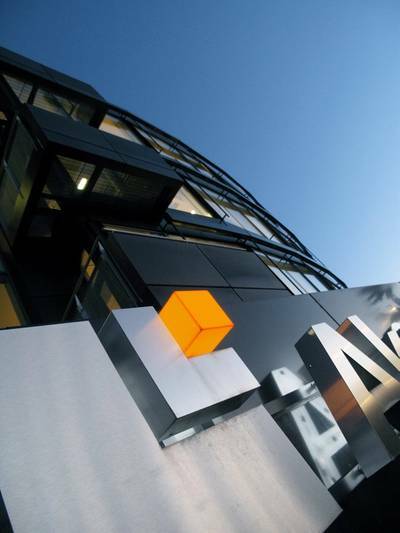 The board of directors of Aker Solutions ASA has in accordance with the strategy disclosed April 30 resolved to propose to the company's shareholders that Aker Solutions be split into two companies. The board has also determined to write down the value of some assets in the Aker Oilfield Services unit of Akastor, one of two companies that will emerge from the separation. Aker Solutions Holding ASA - a subsidiary of Aker Solutions ASA established for the purposes of the demerger and which will apply for listing of its shares on the Oslo Stock Exchange - will through the proposed demerger assume Aker Solutions' activities in the following areas of operation: subsea, umbilicals, maintenance, modifications and operations and engineering. The New Aker Solutions will operate under the Aker Solutions name from the first day of listing. From the first day of listing of New Aker Solutions, the existing Aker Solutions ASA will change its name to Akastor ASA to form the Akastor Group together with the other subsidiaries that have not been transferred to New Aker Solutions. The Akastor Group will, among other things, continue Aker Solutions' activities mainly related to drilling technologies, process systems, surface products and Aker oilfield services, as well as business solutions, some financial assets and real estate. On completion of the demerger, consideration shares in New Aker Solutions will be issued to the shareholders of Aker Solutions. Each share in Aker Solutions will give the right to one consideration share in New Aker Solutions. The consideration shares will constitute 100 percent of the outstanding shares in New Aker Solutions as of completion of the demerger. The demerger is subject to approval by the shareholders of Aker Solutions at the Extraordinary General Meeting to be held on August 12, 2014, and depends, among other things, on the approval of the application to list New Aker Solutions shares on the Oslo Stock Exchange. Based on external and internal valuations, the board of Aker Solutions determined an allocation of Aker Solutions' share capital so that 35.2 percent of the share capital would be allocated to Aker Solutions (to be renamed Akastor) and 64.8 percent to New Aker Solutions. This is in accordance with the allocation of net values between the two companies as a consequence of the demerger. The allocation is mainly based on internal and external evaluations of future cash flow and also takes into account the businesses' risks and prospects. Aker Solutions has as part of the demerger plan adopted an interim balance sheet that is included in the demerger plan. The board determined to recognize impairments and a provision, which are reflected in the above-mentioned valuation, of about NOK 1.6 billion on some assets and goodwill of the Aker Oilfield Services unit of Akastor. The value of Aker Oilfield Services' investments in the Skandi Aker and Aker Wayfarer vessels will be written down and a provision will be made on future leasing commitments for the Aker Wayfarer vessel. The goodwill value of the business area Oilfield Services and Marine Assets (OMA), which Aker Oilfield Services belongs to, will also be written down. The impairments and provision are based on revised business cases after the cancelation in June by Total in Angola of a two-year contract for the Skandi Aker vessel, as well as a generally weaker market that has created uncertainty about the value of the vessel and the goodwill value of OMA. An impairment charge of NOK 664 million will be taken on the Skandi Aker and NOK 306 million on the goodwill value of OMA. 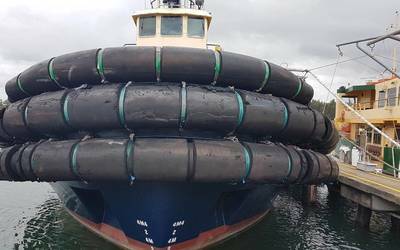 An impairment charge and onerous lease provision totaling NOK 662 million will also be taken on the Aker Wayfarer as some prior investments in the vessel have little or no value based on recently revised business cases and the current market outlook. The after-tax effect of the impairments and provision is expected to be about NOK 1.3 billion. Most of the Aker Wayfarer impairment and provision will impact earnings before interest, taxes, depreciation and amortization (EBITDA). The Skandi Aker and OMA goodwill impairments will impact earnings before interest and taxes (EBIT). The impairments and provision, as well as other financial consequences of the demerger, will be incorporated in the second-quarter 2014 results disclosed July 17 by Aker Solutions. The impairments and provision will have no effect on the New Aker Solutions since OMA will become part of Akastor. There will be no cash effect, no adverse impact on future funding through covenants and no consequences for the separation of Aker Solutions. ABG Sundal Collier, Barclays and Carnegie will act as joint lead managers for the listing process.